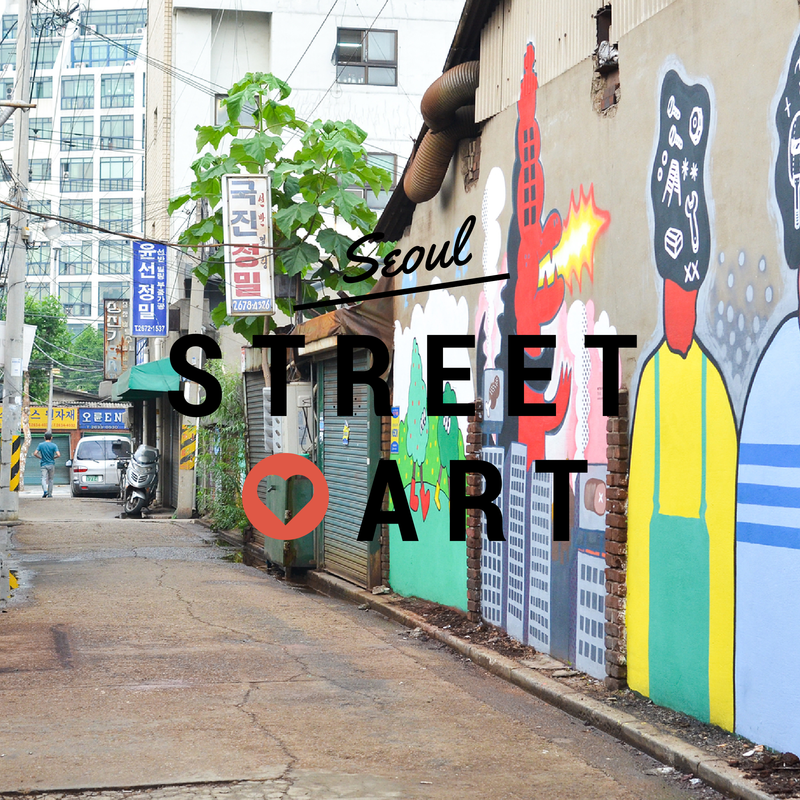 The heART of Seoul Streets - Experience It! 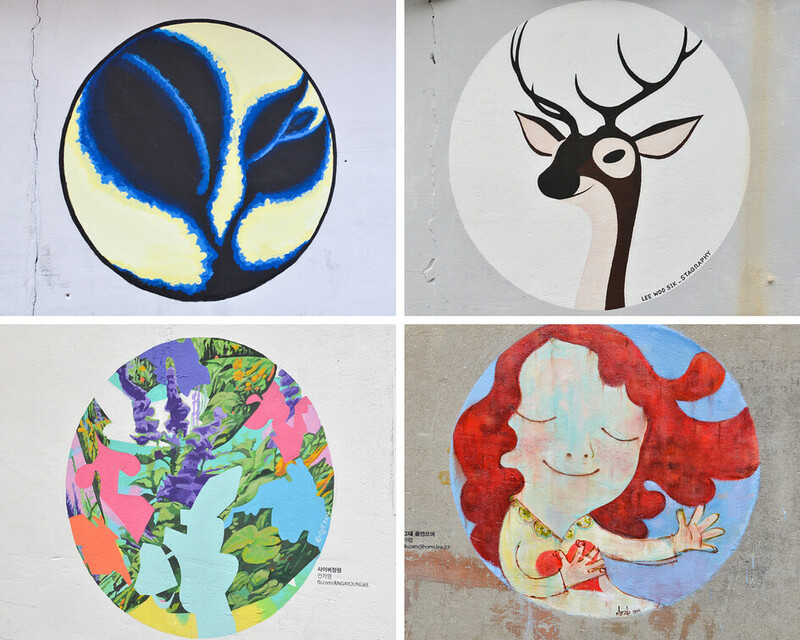 The future is yours to create street art, using Seoul City as a canvas. 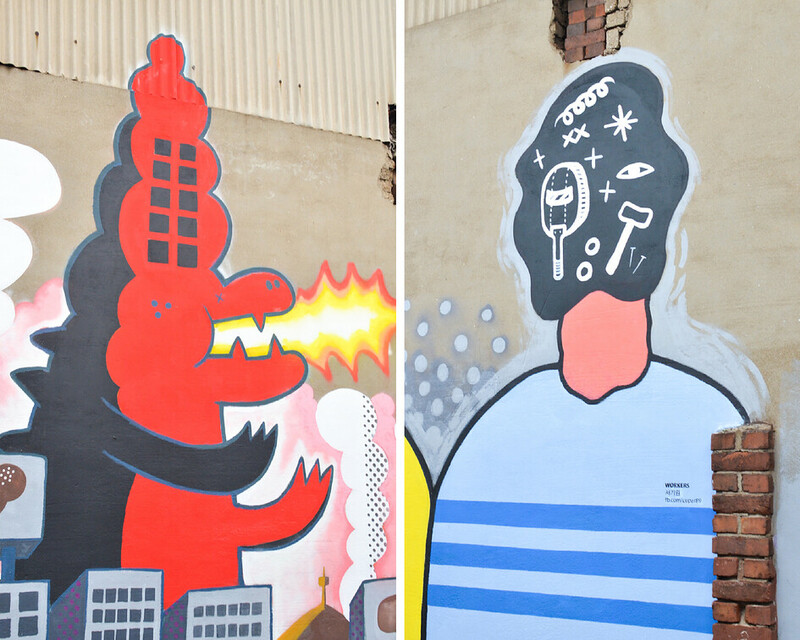 Well at least that's what I can gather from the video from "Absolut city Canvas". 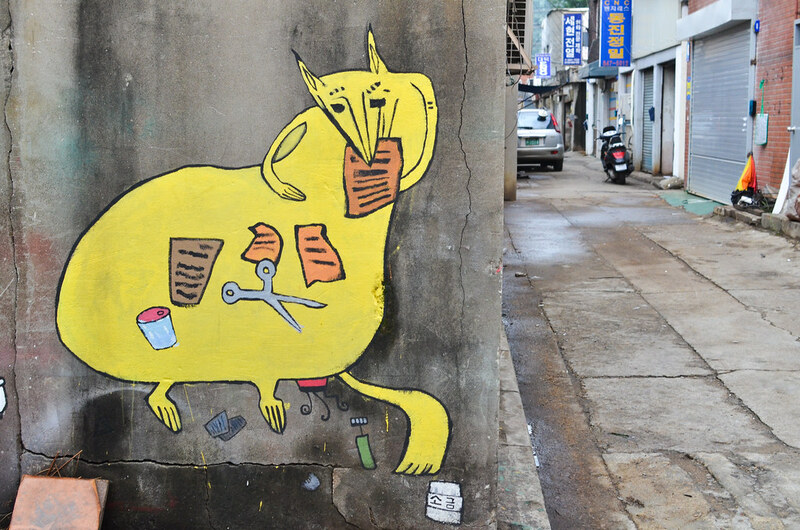 In the video, 40 Artists took 18 days to transform 5 streets. Hongik University, Mullae-dong, Itaewon, Gahoe-dong and Seongsu-dong. I was inspired by this video and wanted to have a look at it. 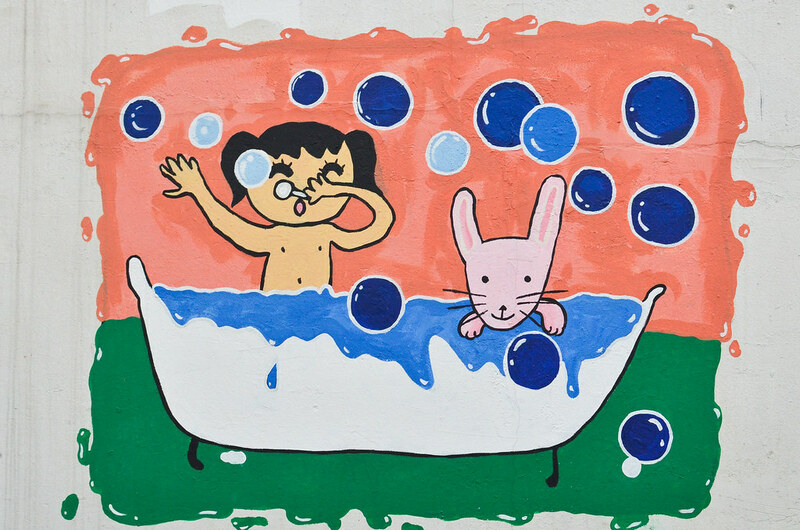 I started my day out trying to find the street at Hongik University, but somehow couldn't find the street art from this video. I guess I missed it somehow, so I moved on to Mullae-dong. 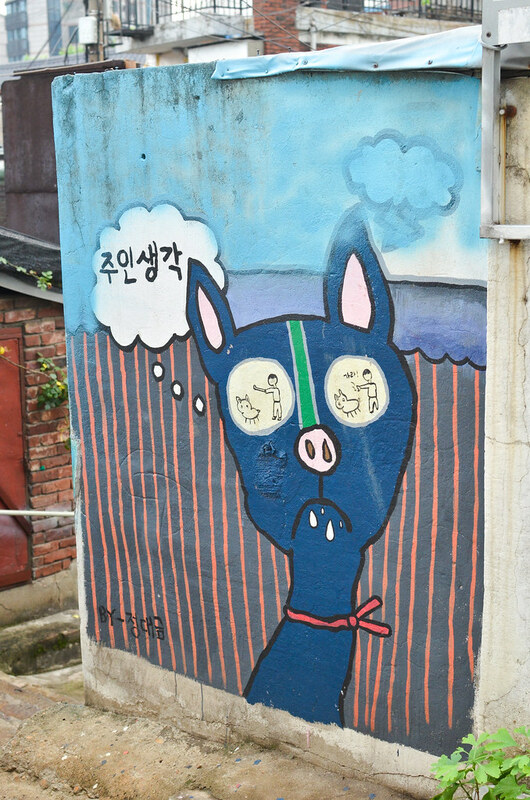 Mullae-dong is a very industrial, old part of Seoul, that attracted artists from all around. 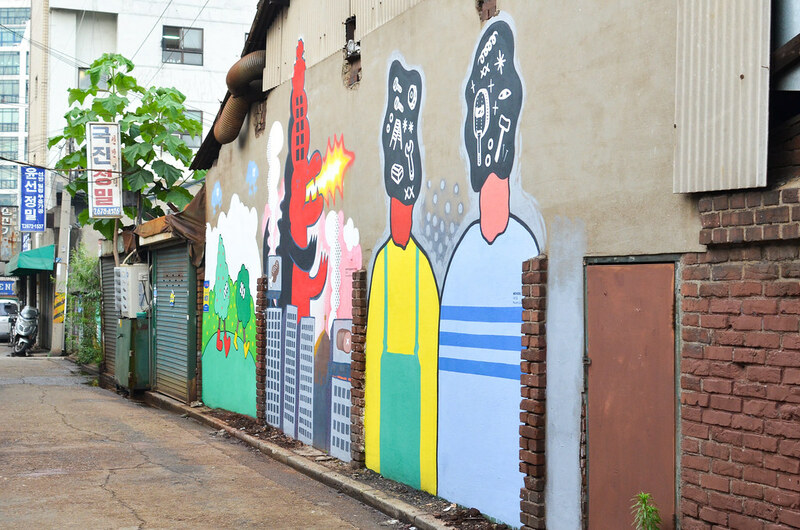 People wanted to transform this neglected old part of Seoul into a creative art "factory", by regenerating the old empty spaces into their studios. 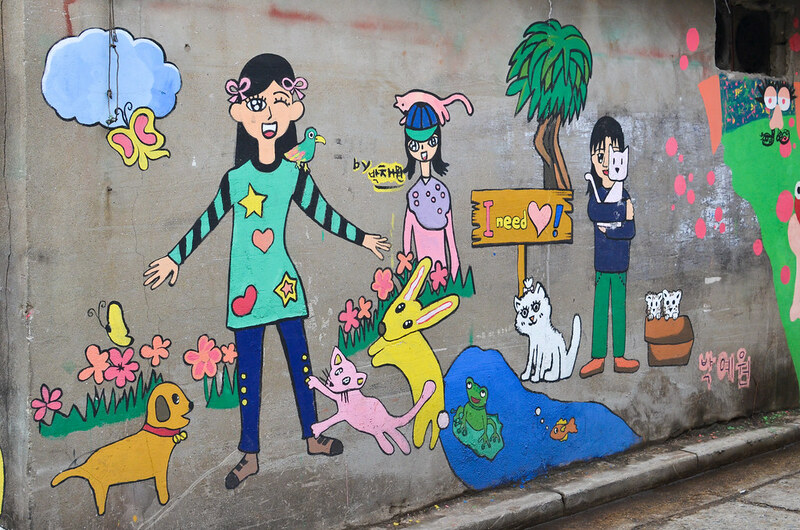 The art streets of Mullae is often described as the art village. 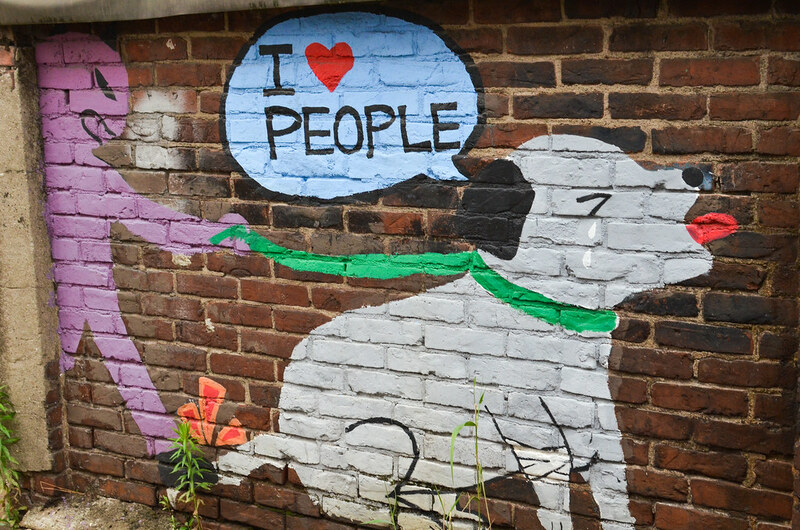 I do think this is a great idea, but after walking around the area trying to find the murals, I noticed that a lot more needs to be done to resurrect this hard looking area. 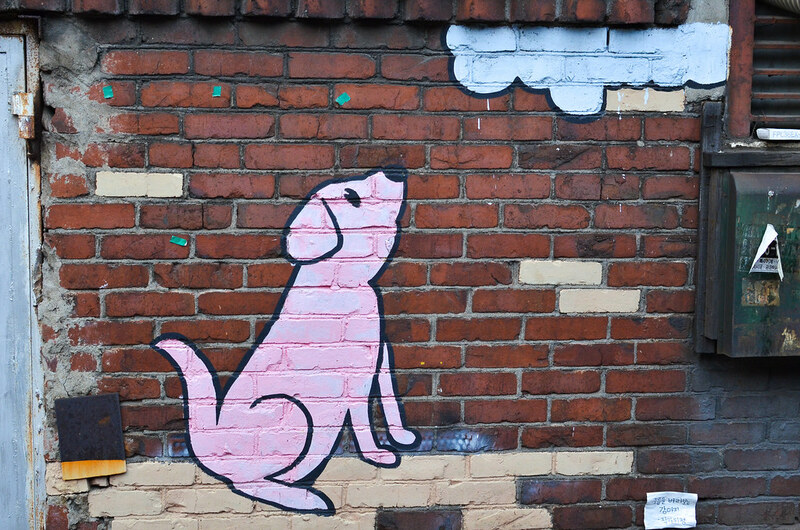 The street art is a great start, but still too small to make a big difference. 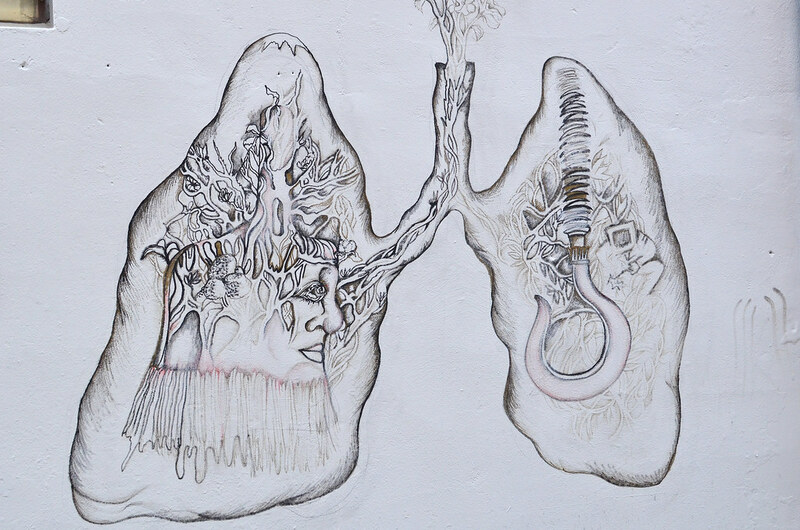 If you want to read more about Mullae Art Village, read this article. What do you think? What more would you like to see about Seoul? 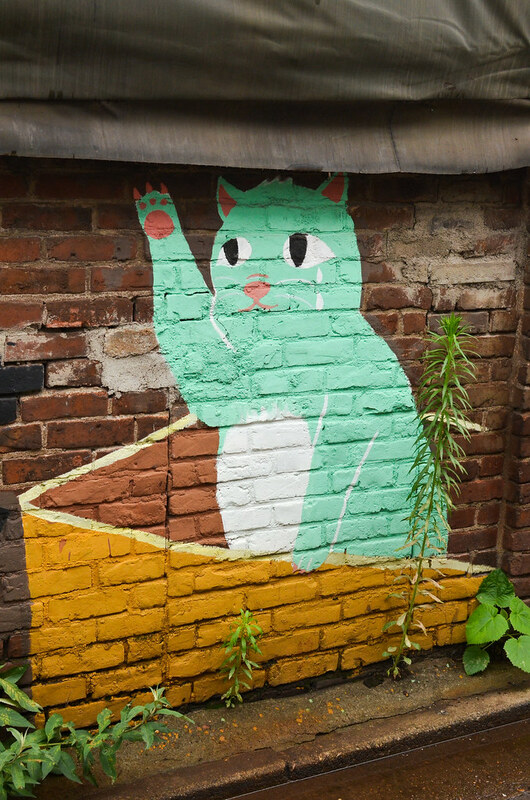 If you would like to find Mullae-dong area. You can go to Mullae station on line 2, exit 7.